Some local law enforcement agencies are using software gives law enforcement agencies the ability to peer into the lives and records of citizens including criminal activity to innocuous activity on the Internet. The are many questions that all Americans must now ask. How much of our privacy is being invaded? Will there be any citizen oversight to this program? What aspects of a citizen's life can be exposed? 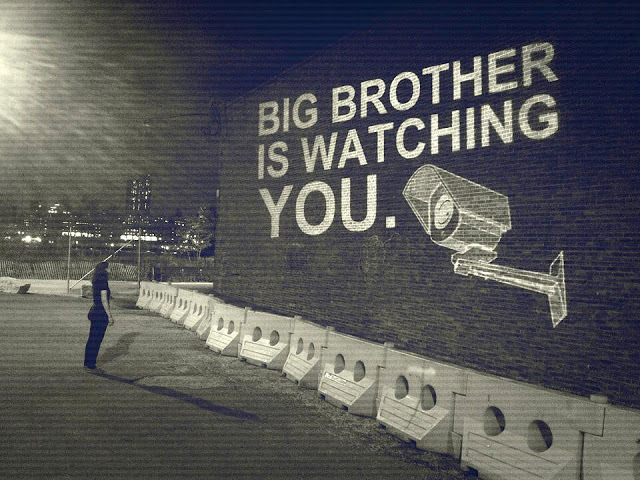 Will poor citizens and minorities be easier targets for invasion of privacy than wealthier citizens or vice-versa? There is a host of other questions that we must ask before we allow our civil liberties to be compromised for the false comfort of feeling safe. Throughout history, tyrants have gained control of nations when the citizens were willing to give oversight of their personal freedom to government entities. When we examine the current state of mind here in our country, it is clear that there is a national codependent attitude prevalent among a free people that creates a paradoxical question. Can we be safe and maintain the barrier between our personal freedom and government intrusion? I believe we can. We have done it in days gone by, and we were a stronger people when we kept a more watchful eye on big government. I caution all Americans to remember the power we all have in the First and Second Amendments. In the First Amendment, we have the right to speak against such violations and with the Second Amendment, we have the right to defend against those who would violate and abuse us. These two rights were intended to be passed to a responsible people. Americans must keep close surveillance on government and remember that there are two words that are constant in securing our future and those words are FREEDOMWORKS.